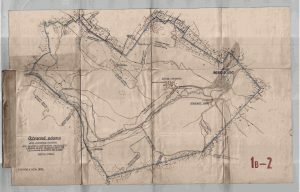 In this chronicle, the author describes perhaps only a fanciful story about Biliner Springs. But thanks to this story, we know with certainty that in 1541 the sources of the Biliner were already well known. Biliner Sauerbrunn spring is written in the urn of even the youngster Václav Ferdinand of Lobkowicz. He later built the castle od Bilin. Eleonora ordered the capture of the springs into narrow tanks filled with sandstone. The tanks were equipped with Wooden Casing. 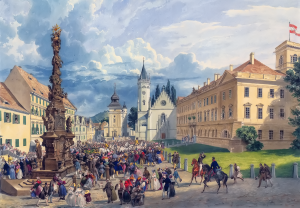 During his trip to Germany, the Russian tsar will visit Teplice, where drinks Biliner. 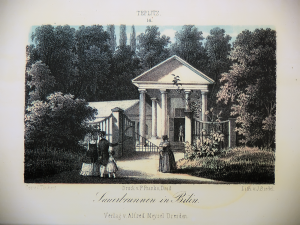 Biliner then becomes a traditional part of the newly-established Russian spa, built as a copy of the spa of Teplitz and Carlsbad. Dr. Frederick Hoffmann sought to replacement the “Epsom salt” for the King of Prussia. He discovered bitter water near the town of Brüx (Most) in Bohemia. Dr. F. Hoffmann and M. L. Claufsen perform analyzes of Sedlitz water. They call the sources “Fontis Sedlizentis in Bohemia”. The analysis is done by Dr. W. Kellner. Water is also included in C. B. Jampert’s publication in Berlin. 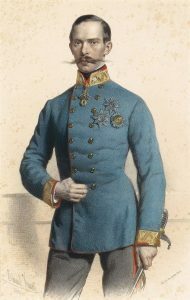 Personal Doctor of King of Prussia Frederick Hoffmann, who sought an alternative to Epsom salt in Europe, discovered near city Brüx bitter salt wells. 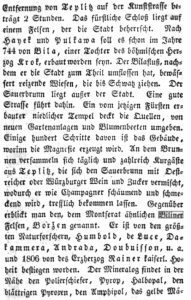 In 1725 published “report about newly discovered Sedlitz bitter salt” and it opened a new chapter on popularity of Teplitz Spa. 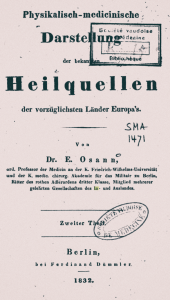 Dr. F. Hoffmann publishes a book in Dresden and Halle “Indicium et examen fontis et salis Sedlizensis in Bohemia in ejusdem Medicina consultatoria”. J. 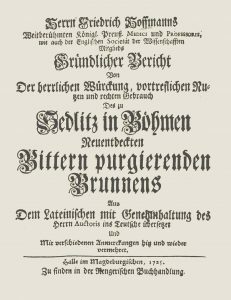 A. Görlitz publishes in Dresden and Regensbueg a book:: “Vermehrte nachrichten vod nedm böhmischen Sedlitzer oder Saidschitzer Bitterwasser”. 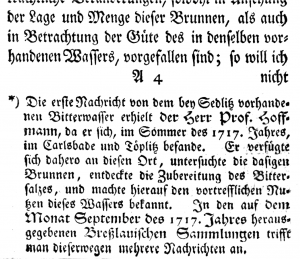 Next edition of Leipzig 1730, Regensburg 1731 a 1754. 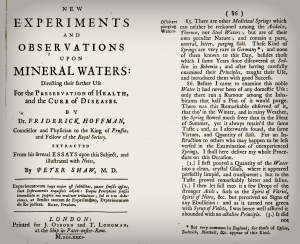 Dr. F. Hoffmann publishes in London a book “New experiments and observations upon mineral waters”. It directs the reader to use mineral waters to preserve health and treat illnesses. At that time he was already a member of the Royal Society of England. Illustrations and notes are added by doctor Peter Shaw. Dr. K. H. Plattig is responsible for the treatment of Bíliner springs. 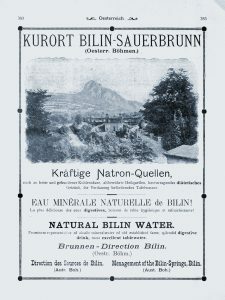 Biliner mineral water is already known in foreign countries. D. Johann Zittmann brings Biliner to Teplitz Spa and starts its use in balneotherapy establishments. 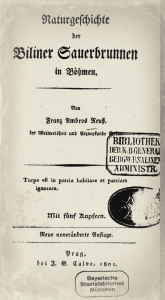 Friedrich Christian Lesser publishes a book in Hamburg: “Von den herrlichen Wirkungen des Seidlitzer Brunnens”. J. 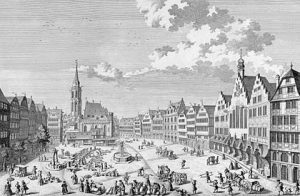 A. Görlitz publishes in Regensburg a book: “Neue Bemerkungen von dem Böhmischen Biterwassern”. 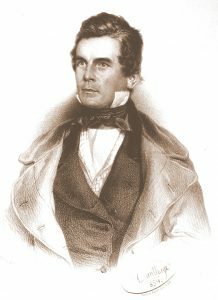 Dr. P. Shaw publishes in London an English translation of Hoffmann’s writings about Sedlitz water and salt. Jenstchen publish a book: “Kurze Gedanken von dem Nutzen und Gebrauch des Sedlitzer ode Saidschitzer Bitterwassers und des daraus verfertigen Salzes”. Coal becomes a strategic raw material. Hutter, however, reports the beginnings of mining as early as 1613. Publishes book on Biliner sources. Dr. Kristian Schwenken of Dresden publishes a publication about Biliner. In Berlin, the French version of the book on Sedlitz salt is published: “Dissertation sur les eaux de Sels er Seidlitz”. 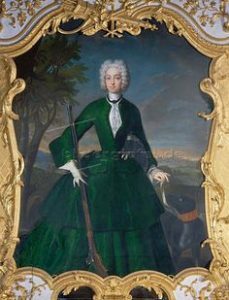 Johann Fr. 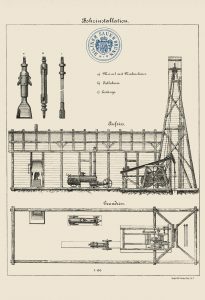 Zittmann publish a book: “Praktische Anmerkungen von den Teplizer Bädern und böhmischen Bitterwassern”. 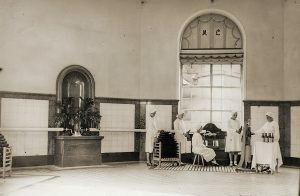 He describes the use of the Sedlitz bitter salt cleansing and spa treatments with the Teplitz Spa houses. 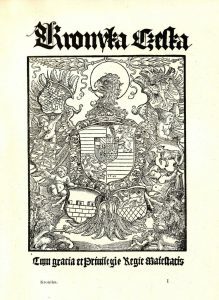 G. N. Troschel publish a book in Leitmeritz: “Nothwendige Nachrichten von den wahrhaftig böhemischen Bitterwasern, Saidschitzer Urspungs as dem hochlebischen Berge”. 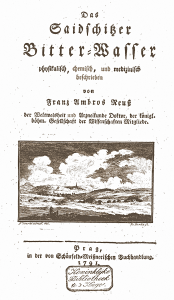 J. Simon revisits the adaptation of the Bílina springs after Dr. K. H. Plattig from 1732. 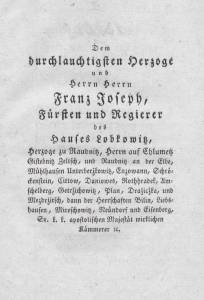 Heinrich Gottlieb Nepomuk Troschel publish a book “Erforderliche nachrichten von dem Biliner Sauer Brunnen”, Faculty of Medicine, Prague. 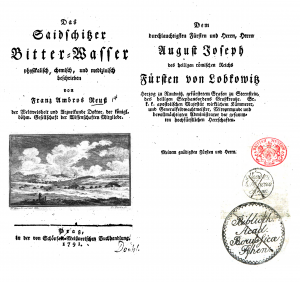 Christian Friedrich Schulzens, a bachelor of medicine from Friedrichstadt published a book “Nachricht vom Böhmischen Biterwasser und Salze”. 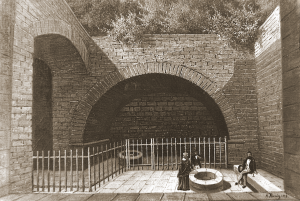 Laboratory for the production of magnesia carbonica. 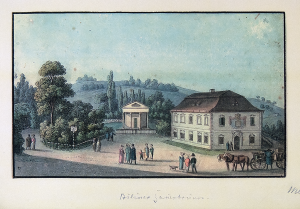 Josef Franz Maximilian Lobkowicz was born, after which his son Ferdinand Lobkowicz (1797 – 1868) named the “Josef’s Quelle spring” of 1824. 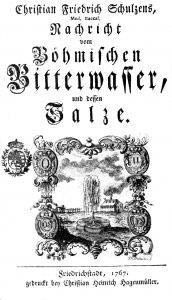 H. J. v Crantz includes Sedlitz bitter water into the publication: “Gesundbrunnen der Oesterr. Monachie”. The book is published in Vienna. 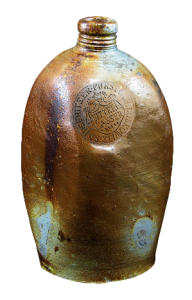 The first producer of stoneware mugs is Josef Rössler. Publish a book: “De Aquarum Sedlicensium usu” about using of Sedlitz water as natural remedy. August Antonin Lobkovic leaves again to shed springs and expose the warehouse. This first bottler was demolished only in 1904. The designer is Dr. K. H. Plattig. 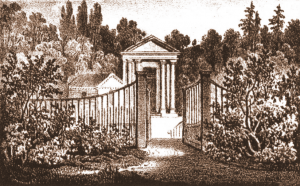 The first restaurant is built at the Biliner Sauerbrunn spring Temple. 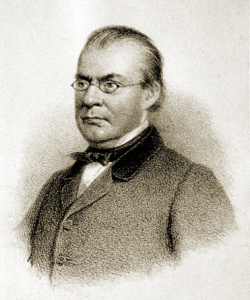 J. J. Berzelius performs analysis of Sedlitz bitter water for the Swedish nobility. 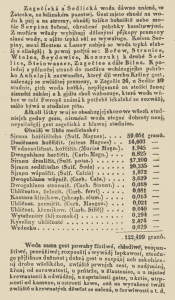 He himself diagnoses the possibility of synthesis of the bitter water as too costly compared to the actual bottling in Sedlitz laboratorium. This knowledge gave rise to massive exports of Sedlitz water to Scandinavia. 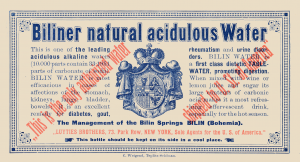 A large proportion of Biliner water is used in the Teplitz Spa to treat gout. 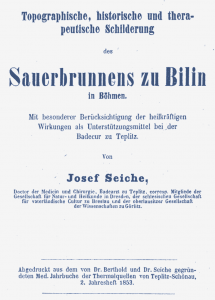 Franz Ambrosius Reuss publishes the book “Biliner Sauerbrunn”. Rightfully, he is called the Father of the Biliner mineral water. 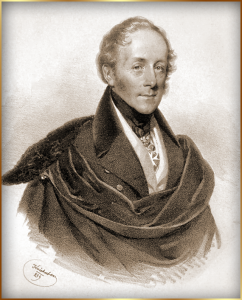 He thanks for the support of Prince Franz Josef Lobkowicz in the book. Dr. Sparmann from Dresden reminds that Biliner water is being drunk in Teplice Spa to promote treatment. 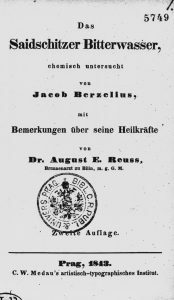 Reuss’s publication is published in Prague: “Das Saidschitzer Bitter-Wasser physich, chemisch und midizinisch beschrieben”. Updated edition is published in Prague. 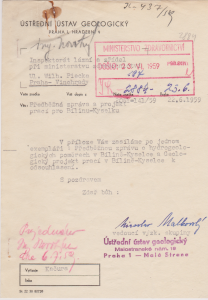 Winth writen inscrtiption: Thanksgiving to the August Josef Lobkowicz. 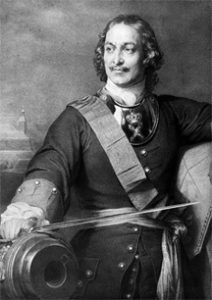 Together with F. A. Reuss, world famous german traveler Alexander von Humbolt came to Biliner Stain mountain near Biliner Springs. The Russian car loved the style of spa houses in Teplitz. In St. Petersburg began to build his own Russian spa. 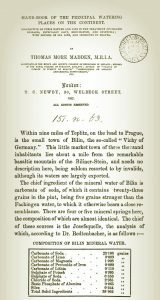 In order to have a small piece of genuine Teplitz water, the export of Biliner to Russia began. Deliveries were provided by merchant Johan Asmus Kranse and Dr. Christian Thal. 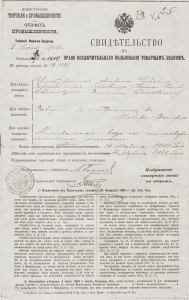 Bílinská became so well-known in Russia that it was not registered as a trademark until 1910. This year, the first problems occurred with the clogging of the surface pits of the Biliner sources with torrential rain-driven clay. 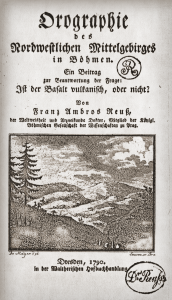 F. A. Reuss publish in Prague a book: “Naturgeschichte der Biliner Sauerbrunnen in Böhmen”. Slogan: Turpe est in patria habitare et patriam ignorare. Archbishop Rainer Josef of Habsburg-Lorraine performs barometric measurements at Biliner Stein Mountain. 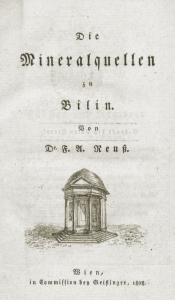 "Mineralquellen zu Bilin in Böhmen"
Reuss’s book is based on Chemie Professor Steinmann’s remarks “Mineralquellen zu Bilin in Böhmen”. 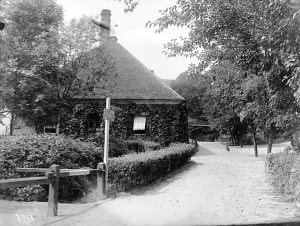 A laboratory for the production of magnesia carbonicum from Biliner and Sedlitz bitter water was built. 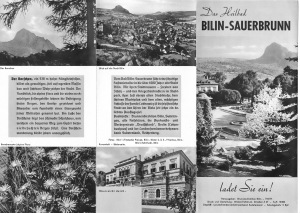 The Biliner mineral water springs are naturally perceived as part of the spa cures in Teplitz. 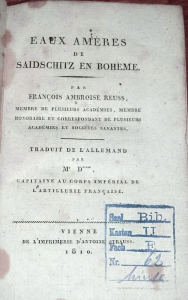 The book by F. A. Reuss is published in Vienna with the addition of the French Artillery Captain of the Imperial Corps. 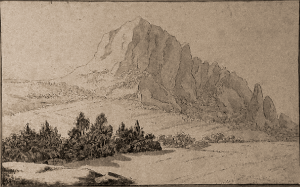 On August 17 ascends J. Goethe to the top of Biliner Stein Mountain accompanied by Dr. Reuss. 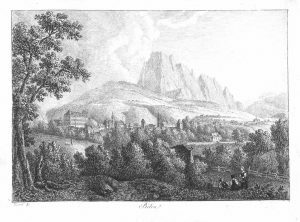 Goethe calls himself an “enthusiastic geological tourist”, and in Biliner Spa he makes several sketches of the surroundings. In 1812 Johann Wolfgang Goethe attracted Ludwig van Beethoven, the most famous musical composer of all time, to Biliner Spa. Both were treated at that time Teplice spa. 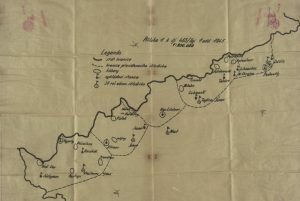 2. září 1813 proběhlo v lázních Teplice setkání tří spojenců proti Napoleonovi. V následné slavné bitvě u Chlumce byla Napoleonova armáda spojenci poražena. 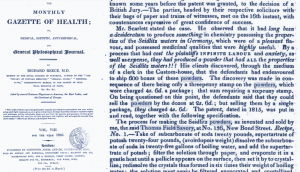 Unexpected huge success is achieved by Pharmacist Thomas F. Savory in his London laboratory at New Bond Street, No. 136. Here he prepares a recipe for making a imitation of the Sedlitz bitter salt, a well-known and very positively perceived curative source of the director’s headquarters in Bilina. 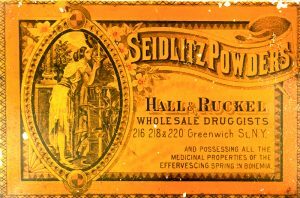 Thanks to the glory of Sedlitz, the product is generally well received by the whole world and is becoming a leading product of early 19th century pharmacy. 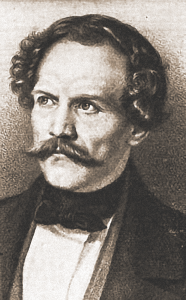 Franz Josef Lobkowicz died, Ferdinand Lobkowicz succeeds. 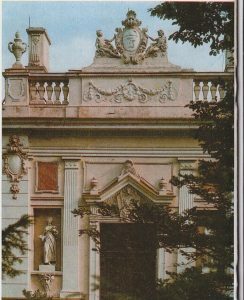 Prince Ferdinand Lobkowicz has built a spring temple named after his father JOSEFS QUELLE. Temple inscription: Patri filii pietas, MDCCCXXIV (1824). 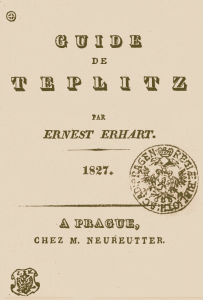 Ernest Erhart publishes in Prague a guide for French spa guests in Teplitz, taking a close look to the Biliner and Sedlitz curative springs. 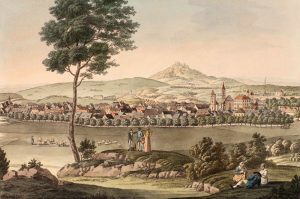 The town of Teplitz describes as full of Russian, Prussian, Polish, Danish, Dutch, Swedish, English and French nobility. 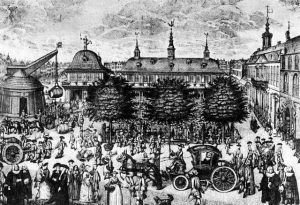 Ferdinand Lobkowic asks townspeople for gubernic permission to build new spas, inns and stables. In 1829 he obtained a building permit. Spruce and forest parks are expanding. 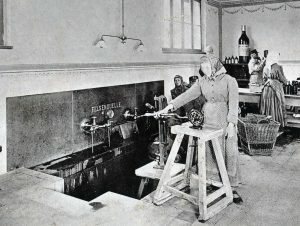 The Magnesia Laboratory will add two spa chambers with a bath tub to the Biliner mineral water carbonic bath. Struve carries out a chemical analysis of the Biliner mineral water. The upper council of Reuss died. The successor is his son Dr. August Emanuel Reuss. 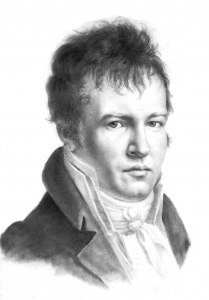 Andreas Chrysogonus Eichler describes in the book “Beschreibung von Teplitz and Seinen malerischen Umgebungen” the use of Biliner in Teplitz hydromineral establishments and its use in the production of mixed beverages in spa gastronomy. 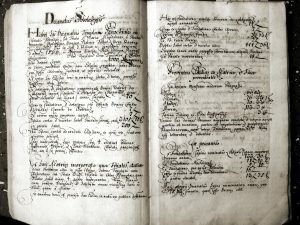 Biliner and Sedlitz water become a part of the list of the wealth of the Czech nation in the encyclopedia “Múzea království Českého”. 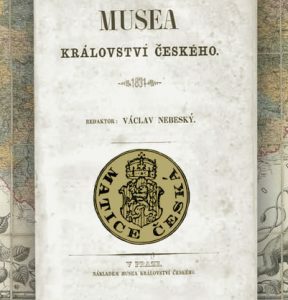 The Biliner and Sedlitz (Zajecicka) is listed in the list of national treasures in the encyclopedia “MUSEUM OF CZECH KINGDOM”. 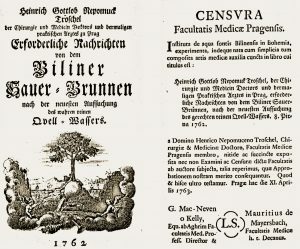 The professor of medicine at the Military Academy in Berlin devotes a large part of his publication “Physikalisch-medicinische Darstellung der bekannten Heilquellen” to Biliner Sauerbrunn and Saidschitzer Bitterwasser. 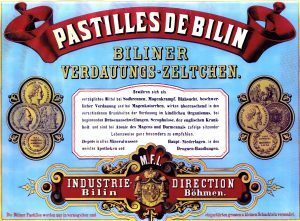 The production of Bilin digestive pastilles was established. 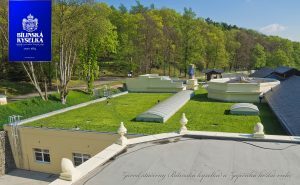 Teplitz Spa Doctor T. L. Richter publishes in Prague an extensive publication about Teplitz thermal springs. This publication has a great reputation and attracts many other travelers and scientists. The book deals with the special chapter of Bilina and its sources. 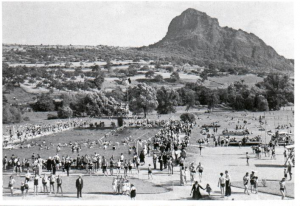 He describes that a large number of Teplitz spa guests are visiting the forest park in Bílina after lunch and drinking Biliner mineral water with wine and many other ways. It also describes the production of Sedlitz and Saidschitzer bitter salt and its use in internal balneotherapy. Doctor of Medicine James Johnson (Physician extr. To the late king.) 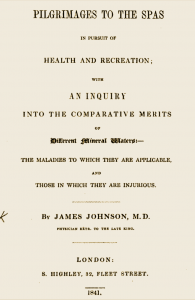 published in London in 1841 a book “PILGRIMAGES TO THE SPAS IN PURSUIT OF HEALTH AND RECREATION”. 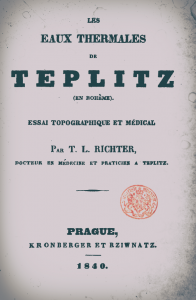 In the book he describes his visit to the famous Teplitz Spa, where he met the author of the latest publications about Teplitz thermal springs, Dr. Richter (Published the year before 1840). He also reminds that the famous Sedlitz and Zaječice springs are known all over Europe. 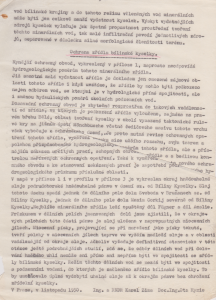 Describes his visit to the Lobkowicz bottling plant in Bilin and the Zaječice. Johnson specifies to British readers that Sedlitz water is not ingredients for “sedlitz powders” well known in England. However, it suggests a new name for Sedlitz powders as: “GENUINE LONDON SEDLITZ POWDERS”. The Princely Town of Bilin carries out exploratory water wells. 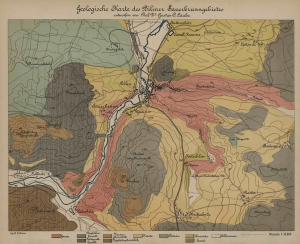 Dr. Josef Seiche publishes the “Topographisch historische und therapeutische schilderung des Sauerbrunnen zu Bilin in Böhmen”. 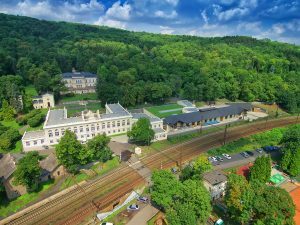 Taking into account the fact that, for its healing abilities of Biliner water is the perfect support for the spa cure in Teplitz. 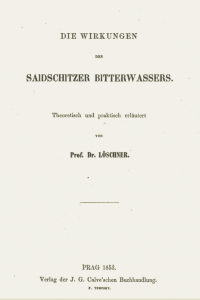 Josef V. Löschner published a book “Die Wirkungen des Saidschitzer Bitterwassers” in Prague. He recommends additional carbonation of bitter water. 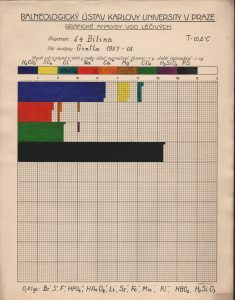 A. Reuss becomes professor at the University of Vienna. Dr. Gustav Hauck, a German physician and publicist, describes in detail in the encyclopedia “Die Heilquellen und Kurorte Deutschlands” the Biliner, Sedlitz and their surroundings. In London is published a book entitled “Hand-book of principal watering places on the continent” with description and analysis of Biliner from Dr. Redtenbacher. Madden describes that in England is town Bílina known as “Vichy of Germany”. 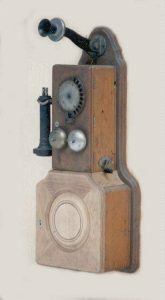 Manufacturer: Hartmann and Sigl in Vienna’s Neustadt. 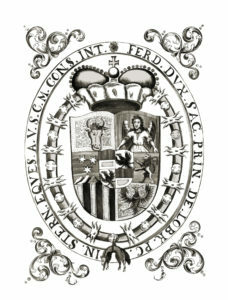 Emperor Franz Joseph I awarded A. E. Reus a knighthood with the right to wear a coat of arms on which is Biliner Stain mountain. 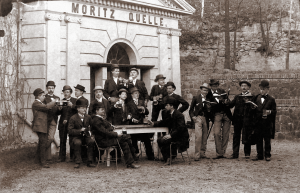 The “Moritz Quelle” Spring Temple was established and the building of the Biliner Spa House was commenced. 5.10. 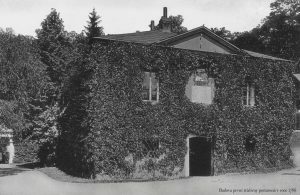 1872 is established according to the Decree of the Prague Spa Authority File no. 567 protection zone of Biliner healing mineral water according to the design and calculation of A. E. Reuss. 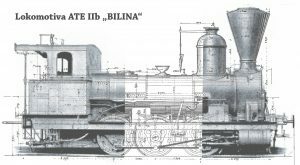 On June 6, 1873, Bilina passed the first train of 20 wagons. The existing spa doctor in Bílina Dr. Karel Preiss is replaced by Prof. Dr. A. E. Reuss. 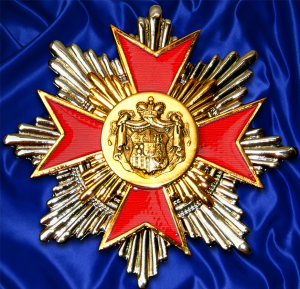 Son of A. Reusse, Dr. Vilém Reuss, is promoted to the knightly order by an iron crown. 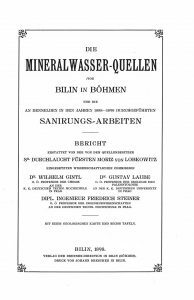 It publishes a book on the physiognomic and therapeutic effects of Biliner mineral waters. Exclusive representation in the US is acquired by LUYTIES BROTHERS, 73, Park Row, New York. 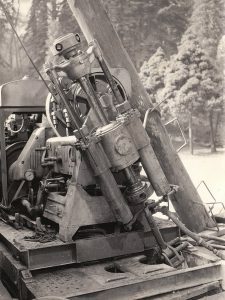 The source borehole “Josephs Quelle” was drilled. Technique of the dropping drill used to a depth of approx. 60 m.
Enlargement of the Biliner protected Area due to brown coal mining operations nearby. The proposal was drafted by professors Fr. Steiner and G. Laube. The spring headquarters is actively involved in virtually all the world exhibitions, where he gains high or highest awards in the field of spa industry. On April 18, the extended of protection zone of Biliner mineral water was approved under number 516. 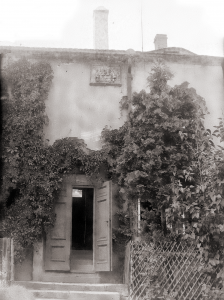 After the jubilee exhibition in Prague, the Lobkowicz Exhibition Pavilion was disassembled on 18 October 1891. Over the next two years he was transported by railway and built in a spa park in Bílina. 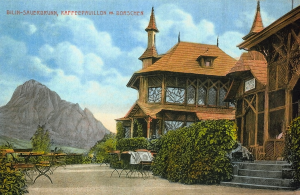 It is a Swiss-style wooden pavilion and has since served as a “forest café”. 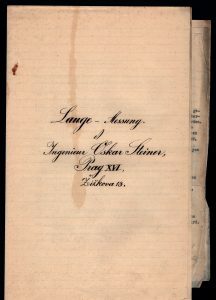 The extensive publications of Dr. Vilém Gintl and Dr. Gustav Laube, together with the graduate engineer Frederick Steiner, contributed to the extensive reconstruction of the Biliner springs on the instruction of Prince Moritz Lobkowitz. 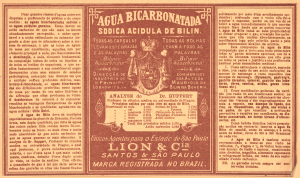 Published by the Publishing House of the “Industrial and Commercial Directorate of the springs in Bílina” in Johan Dreschner Printing Works. 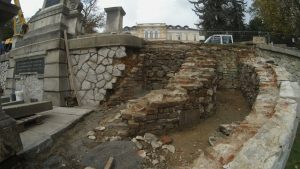 Professor of Geology and Paleontology at Prague University Gustav Laube publishes a book with a geological description of the Bílina town surroundings. The geological model of plywood contours is an exhibit of the Biliner Museum. This year, 5 million bottles of Biliner were dispatched. Railway is very helpful for the distribution network. 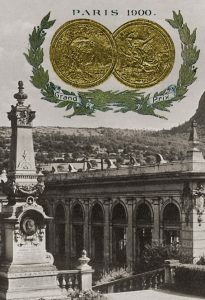 On May 29, 1898, a memorial was revealed in the area outside the main spa building to the famous Biliner curative waters popularists, father and son of Reuss. 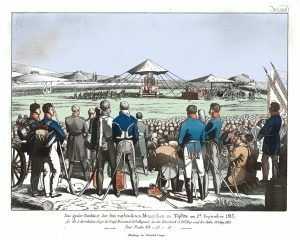 Celebrations were attended by Dr. Wilhelm Ritter von Reuss, Prof. Aufust Leopold Ritter von Reuss, Prof. August Adolf Ritter von Reuss and Dr. Hans Ott. 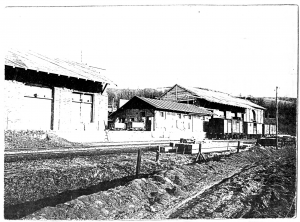 At the same time, the Inhalatorium building was built and a new factory building near the railway. Biliner is exported to Rio de Janeiro. Brazil Importer is LION and CIA, SANTOS and SAO PAULO. 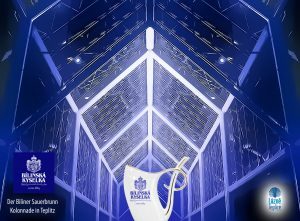 Biliner naturally carbonated natural mineral water is awarded the main prize (Grand Prix) as the world’s best dietary natural beverage. 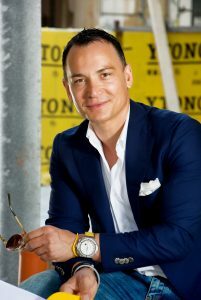 Biliner springs director Adolf Wintr leaves for the pension. Moritz Lobkowic refines the Biliner spa in cooperation with Lobkowicz court council A. Hannapapf. A new method of filling is being introduced and the sources are adjusted. The new fillers are designed by A. Scherrer from Bad Ems. The directorate of the Biliner springs protests against phonolite mining blasts at the relatively distant Želenický Hill. There is a suspicion of the impact of the blasts on the Biliner mineral water slurry system. This suspicion has not been confirmed in the next century. Professor Ing. 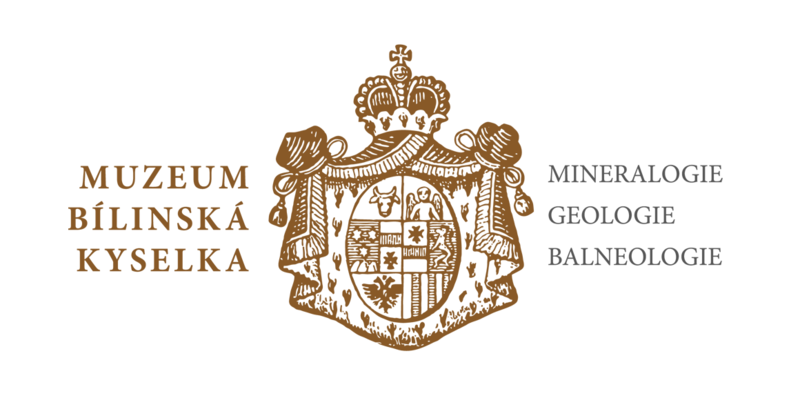 Gintl performs analyzes of Biliner mineral water in Prague Balneological Institute of Charles University. In Europe, the Great War is raging, now known as the “First World War”. The Spa House in Bílina is used as a reserve hospital of the Red Cross. The Military Spa Doctor is MUDr. 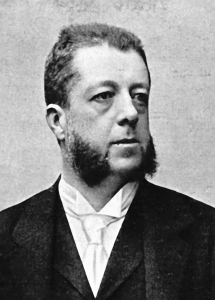 Ferdinand Vogel. The Great War was tangled with a political map of Europe. 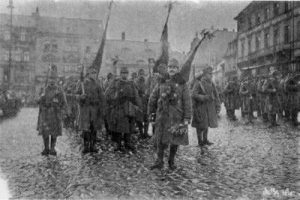 Czechoslovak legions are joined the German “Nordböhmen” to the newly established Czech-Slovak Republic. 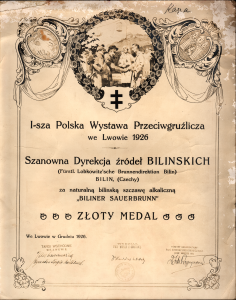 The Biliner springs are no longer in Austria-Hungary but in the German land in Czechoslovak region. 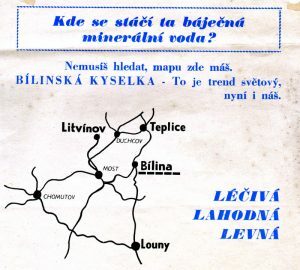 The relationship of Czechs to Biliner (In Czech “Bílinská kyselka”) is best represented by this newspaper advertisement. Where is bottled this fabulous mineral water? You do not have to look, you have a map here. Biliner is a world trend and now is ours. Max Lobkowicz buys Mattoni A.G.
At the 770 liter per minute drainage in the bottom water runoff at the Venus coal mine, no impact was observed on the Biliner springs. The springs of Biliner have 6.3 liters per minute capacity. 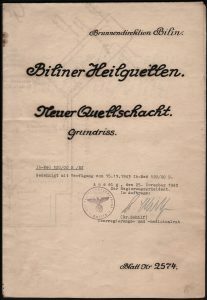 The Biliner spring headquarters are seized by the Wehrmacht and along with the radioactive water from Teplitz, production is directed to the needs of the Nazi Army in Africa because of its sterility and suitability for drinking in hot weather. In Germany are published many advertising recommending curative treatments in Biliner spa resort. Ing. 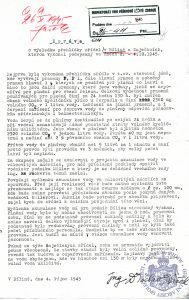 Vaclav Dašek presents a phenomenal proposal for the establishment of the accumulation of Biliner mineral water. Instead, bottling in production batches can replace continuous bottling. This is the clear basis for the concept of the current production plant of Biliner headquarters today. The withdrawal of the majority German population led by the settlement commission od Most. The Czech population comes to towns Bílina and Teplice. The Communist government takes over the station. Former Biliner and Sedlitz bottler owner, Czechoslovak diplomat Maximilian Erwin Lobkowicz, had to leave for American exile. Bílina and Teplice are populated by the Czech natives from the Central Bohemian region. 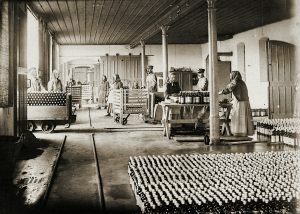 From the bottling plant in Bílina, the “Czechoslovak Nationan Enterprise with a branch in Zaječice” was established. The vast and exhibition spa park for centuries built around the Biliner Springs is planted with a huge number of rapidly growing spruces. Disappear as a politically inappropriate subject for communist goverment. Hydrogeologists Ing. RNDR Karel Zima and Doc. Ing. Ota Hynie have begun a complete exploration of the Biliner Sources. This research lasted until 1955. 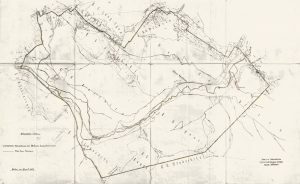 K. Zima’s proposal to extend the protection zone to the edge of the Tertiary basin and to remove the right-bank area of the Bílina River. Knowing that the coal seams are separated from the crystalline subsoil by a mighty layer of clay. 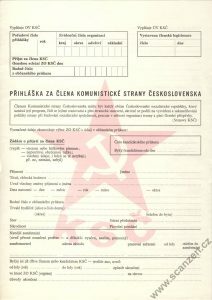 Vládní usnesení 1030 r. 1958 o prozatimním ochranném pásmu G. Kačura a V. Myslil. Georges Kacura conducts a massive hydrogeological survey of the Biliner springs, lasting until 1965. Georgij Kačura solves the spring structure of Biliner with boheholes V1, V2 and V3. 60m NE from the main collector basin. 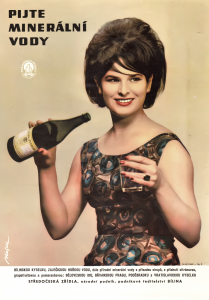 Bílinská kyselka becomes the most distributed spa mineral water of the Czechoslovak Socialist Republic. At the sites of the original spa streets, the most modern European colonnade is set up in the oldest European spa town. It is devoted to drinking cures of Teplitz Spa, Biliner naturally carbonated mineral water. 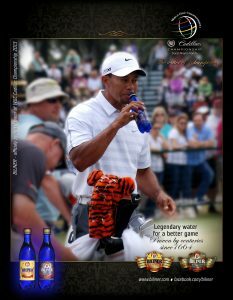 Biliner is a beverage of the World Golf Championship at the Doral in Miami, USA. Complete the reconstruction of the main factory building, the railway loading platform and the construction of the underground bottling plant. 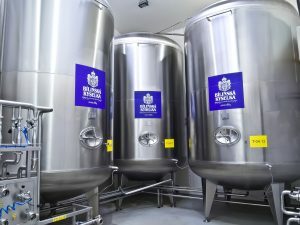 The new generation technology ensures the highest quality of bottling process ever. 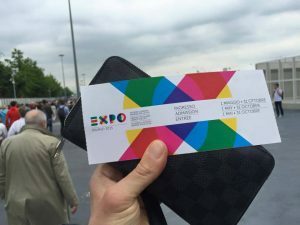 Directorate of springs Bílina represents the Usti Region at the World Expo 2015 in Milan.